Number 1 Catering is one of the largest caterers in The Netherlands. 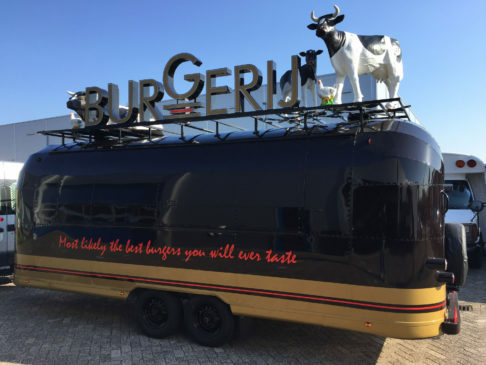 Number 1 wants to be present at festivals and events with their own creative mobile food solution. 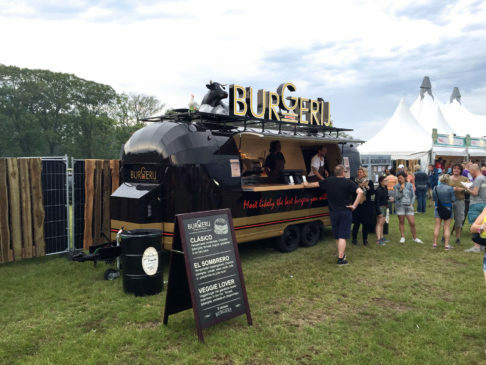 Therefore, in cooperation with Burgerij a Revival Food Trailer and a Drop Box were built. An important condition for the mobile solutions is the ability to deal with peak periods easily, which required a high preparation capacity and quality. Both objects are real eye catchers thanks to their size and shape. The Revival trailer has large box letters on its roof as well as a ‘not to miss’ true size cow. The Drop Box has a spacious roof terrace, a hydraulic raisable wall and large side apnels for optimal visibility.